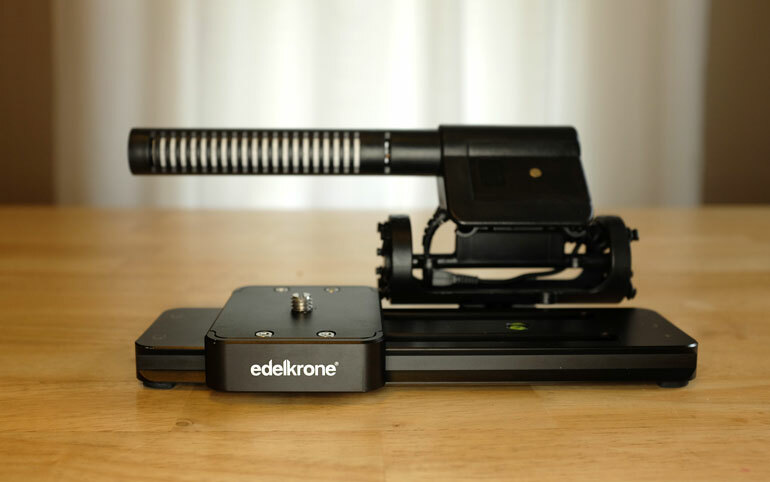 The Edelkrone SliderONE is one of those pieces of gear that you look at with admiration, like an Apple product, or your favorite watch. It's a beautifully crafted object of art, but more than that, it becomes a part of your everyday life, anywhere and everywhere you go. 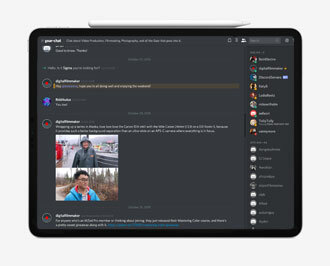 And yet, it's so tiny that we mistakenly forgot to include it in our article about our ﻿﻿documentary kit as well as our corporate video production guide. But believe us, this slider comes along on every single one of our shoots. 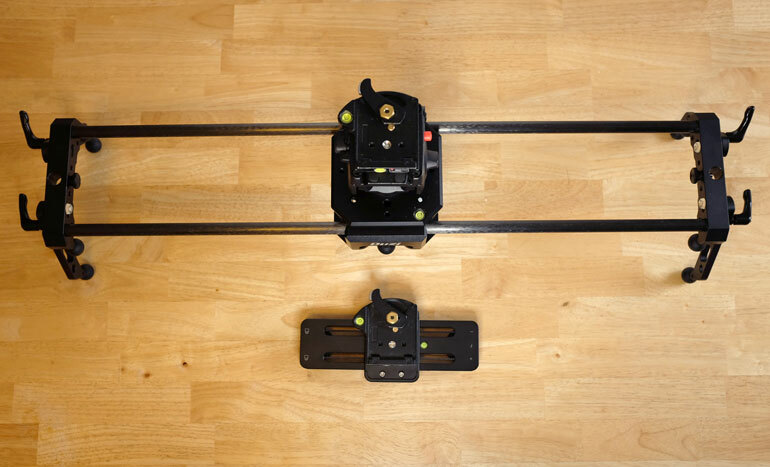 When it comes to camera sliders, we like to tell ourselves that we need to invest in a long slider to handle any kind of slide we might possibly need. But how often do we really use more than a small portion of our slides anyway? If you watch a video that features slider shots, the most you can normally watch a slide shot - before you become intensely aware you're watching a slide shot (and lose interest in the story) - is probably about 4-5 seconds. So why lug around a slider that gives you 20-30 seconds of slide, the bulk of which you'll trash in your edit anyway? Here you see a 32-inch Cinevate ﻿Duzi﻿ v4 sitting above the Edelkrone SliderONE. 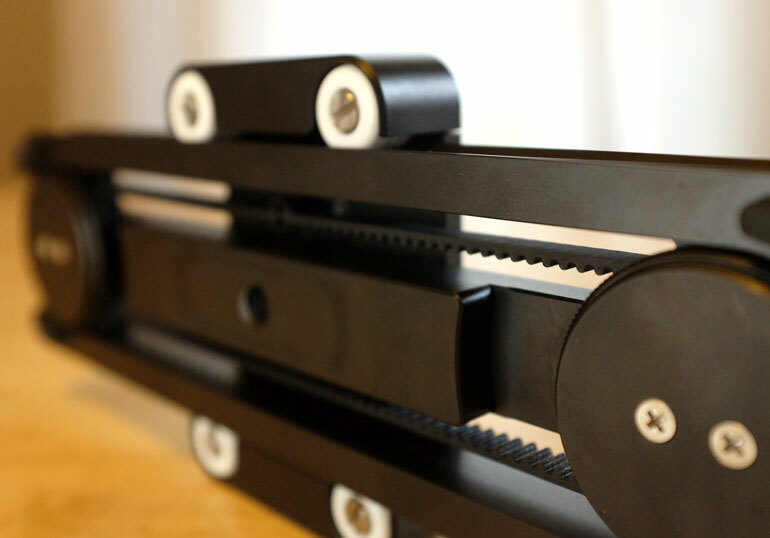 Now, the Duzi V4 continues to be our most recommended slider for both documentary and promo video shooters. 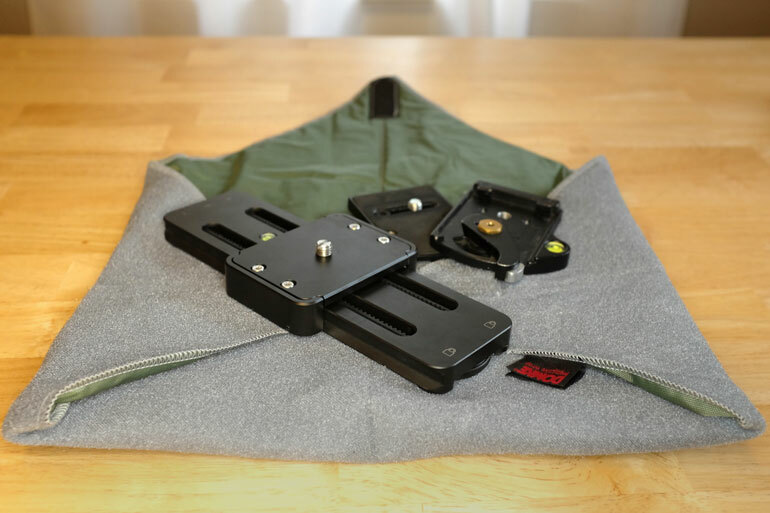 The patent pending flywheel is truly amazing, and it's affordable, lightweight, and gives you the perfect slide every time, without having to shoot retakes. (Here's our Newsshooter review of the Duzi v4). ​But sometimes you just can't bring even a portable, 24-inch slider along, especially as a one man band. Maybe you're on a long hike to a shoot, or you literally have no time to setup a slider shot, or no room in your bags. Or maybe you're shooting in a location where you don't want to attract a lot of attention to yourself (more on that below). In any of those situations, a short slide could bring life to some otherwise motionless shots. You know, the static landscape establishing shots, boring signage for corporate videos, framed photos on a table for your documentary profile, people seated at an event or church service, or a couple symbolic objects in your wedding video. We’re definitely not studio guys. Every piece of gear we love is usually because it allows us to go further into the field, to get more natural shots and quicker. The Digital Filmmaker crew spent a few years running around Alaska producing, shooting, and editing a short doc a week, and in the process we learned how to bring the minimal amount of gear to our shoots, while still achieving cinematic quality results. And sometimes that meant carrying around equipment that wasn't built to be perfect, but is good enough. Like all things that aren’t perfect but good enough, the SliderONE isn’t going to give you a perfect slide every time. 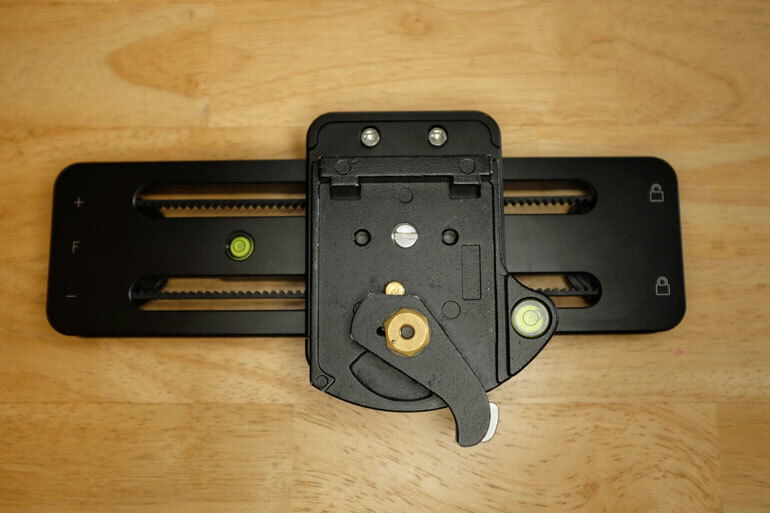 If you need that, there are amazing sliders out there that will do that, like the Cinevate Duzi V4. But they are bulkier, heavier, you’ll probably need a bigger tripod or even two tripods or light stands. So the question is, are you okay with knowing you may have to make a slide a couple times before you get a good one? But in the end, coming away with slide shots in a situation where you otherwise wouldn't get slide shots? It's very similar to the question we ask ourselves when we look for a tripod and fluid head. Do we want a 20 pound tripod that gives us perfect results every time (but we end up leaving it at home half the time), or are we okay with a tripod and head that requires us to pan and tilt a few times to get a good shot (but weighs 3 pounds and goes with us everywhere)? In the end, that's a question each shooter has to ask themselves, and the kind of work you're shooting may dictate how you answer. 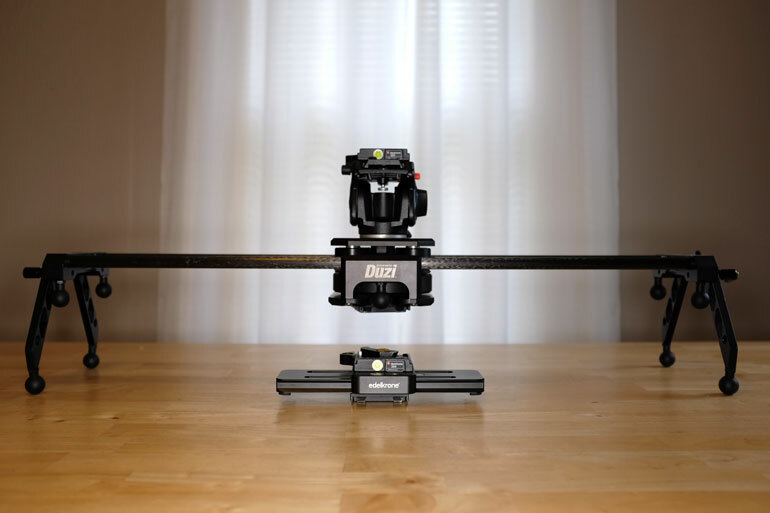 For us, if we can bring a slider, we bring the Duzi V4, no question. But the Edelkrone SliderONE is so tiny that we also bring it along with us everywhere, packed in a small Domke neoprene wrap. And the times when we can't use the Duzi, we take out the SliderONE and are super grateful we had it in our kit. In the above video, we were hired to make a short video about a nonprofit in Alaska, in a fast-paced shoot at several locations, with interviews and B-roll all in a half day. The challenge was that all our locations were in sensitive areas where cameras weren't usually allowed (like homeless shelters), so we had to move very quickly. The SliderONE can be seen at 00:24, 00:26, 01:21, 02:46, 02:48, and 02:50. And if you're curious, the other B-roll shots were mostly on the Letus Helix Jr. gimbal. The SliderONE is 9 inches long and is made of durable aluminum, it weighs just 1.3 pounds but has a load capacity of 20 pounds, and the slide is belt-driven. There’s a friction adjust knob, as well as a brake. There’s also a level on top, which is a nice feature instead of hunting around for your tripod’s level. 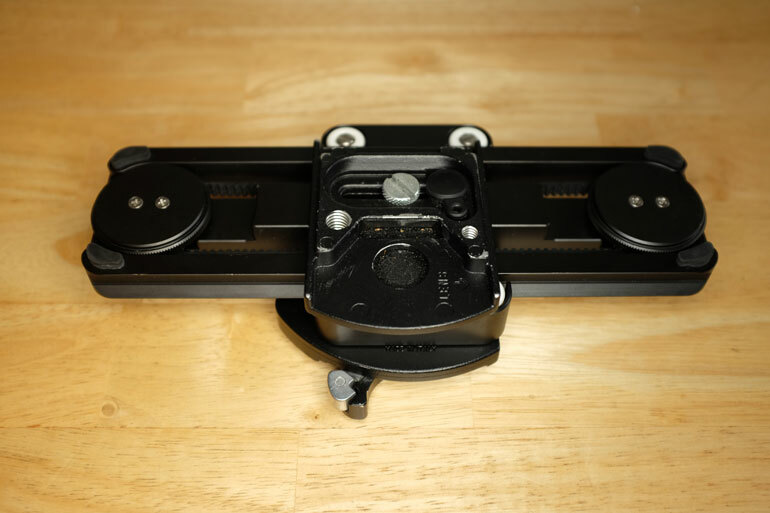 There’s a 3.8” thread on the bottom and a screw on top, and right off the bat we recommend putting your favorite quick release plate on the bottom and top so you can quickly click it into your tripod. 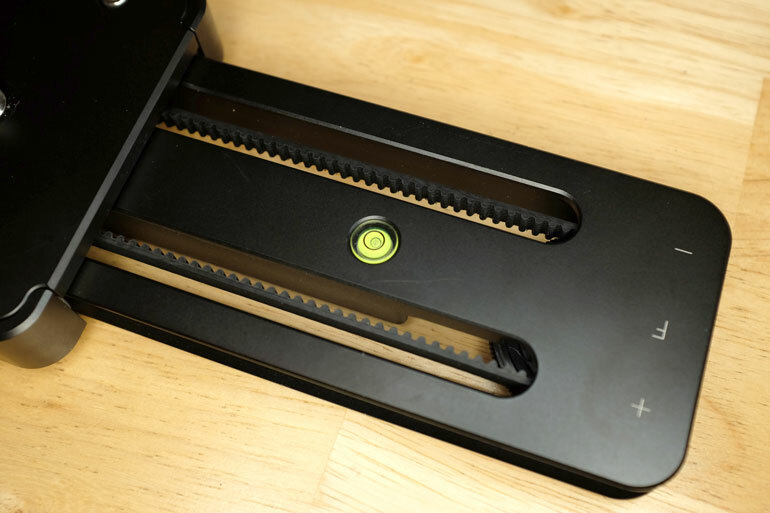 One thing we really love about the SliderONE is the 3/8 screw on top has a top thread for your screw driver, enabling you to tighten your quick release plate in the correct forward angle. That’s one thing that frustrates me about many sliders out there - they assume you’re going to put a fluid head on top. But if you don't want to use a fluid head, when you screw in the quick release it will tighten at an odd angle - never facing directly forward. 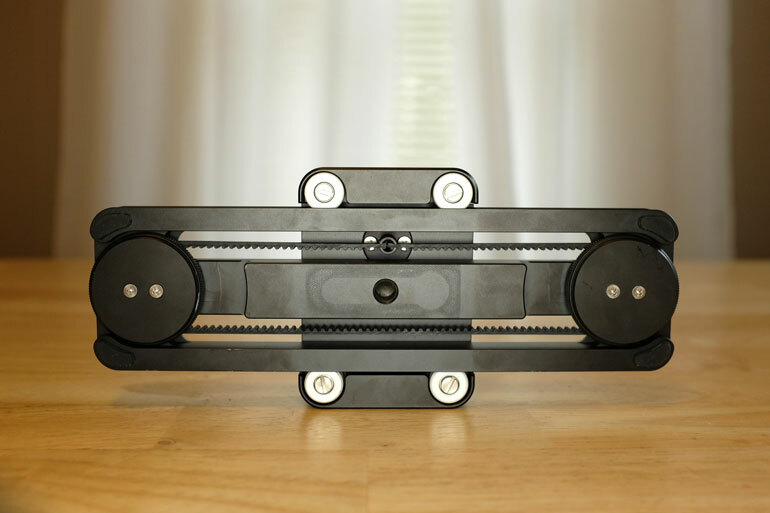 The only way around this is by placing washers or other spacers until you can tighten the plate at the correct angle. So kudos to Edelkrone for intuitively designing the top 3/8" screw for quick releases. The world's smallest slider is so small that we think every shooter should carry one in their kit - whether it becomes your primary slider, or as a backup for particular situations. For $200, it'll pay for itself the first time you end up using it (and make your clients happy). There's also a very intriguing ​accessory to the SliderONE, called the "Motion Module." 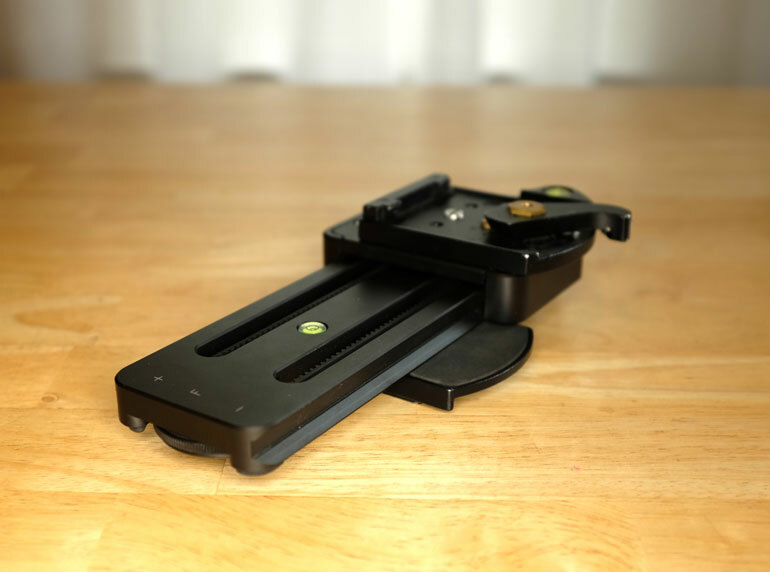 It adds a motorized attachment that allows you to capture moving timelapses, intricate macro slides, and all around giving you control (via a smartphone app) that takes this slider to a whole new level. We haven't tried it yet, but hope to in the future! 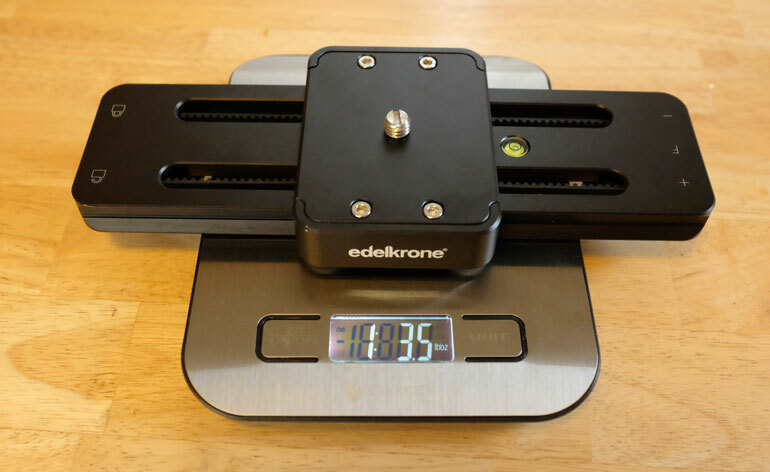 A quick note, if you're ​looking around the web for the Edelkrone SliderONE, you may notice there's a few knock-offs, like this one, and this one. 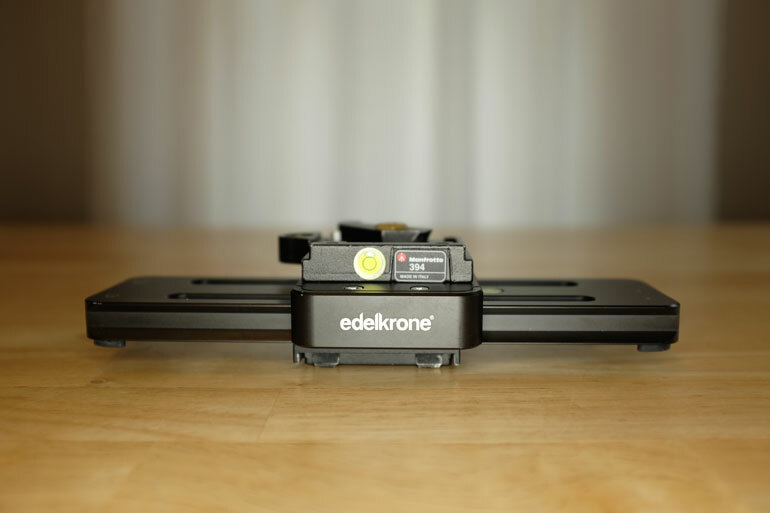 Sometimes knockoffs are a good deal and worth trying (and returning if they stink), but in this case, we believe it's worth getting the authentic Edelkrone products that are designed and manufactured with Apple-like precision. 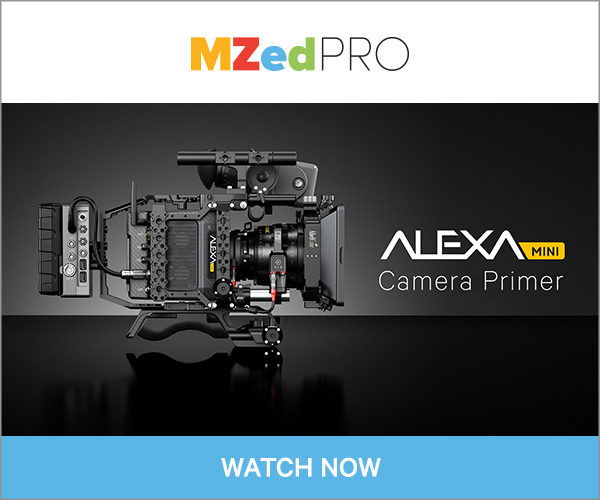 Edelkrone creates truly one of a kind products. Have thoughts about this article? Send us an email and we'll add reader feedback here. Thanks!